English With Harvey – The fun place to learn English in Llanes! English classes resume from October 2018. There are a few seats available. If you are a past student, please confirm your booking and timings as soon as possible. This language school encourages its pupils to read. 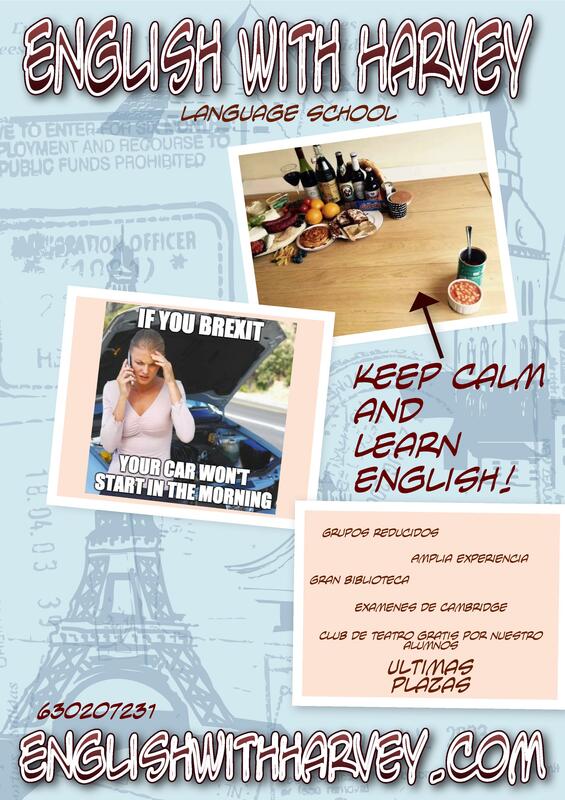 English is a language to be savored and one of the best ways to do so, is to read, … More Classes for 2018 !!! Leave a comment Classes for 2018 !!! Leave a comment An Evening of Drama! Reading has priceless benefits: it develops your verbal abilities, improves your focus and concentration, develops your imagination, makes you smarter, reduces stress, improves your memory, helps you discover and create yourself, AND is entertaining. We encourage our students to read as much as possible, and have invested in a modest library. There are books, comics … More Why Read? Leave a comment Why Read?